I love this CD ! Its brilliant arrangements and sweet harmonies put the songs to life. My favorites are "Great is Thy Faithfulness," and "How Great Thou Art." It may be my favorite CD of all time ! This Eclipse album is so easy to listen to over and over again. I love all the songs. Such inspiring, beautiful music that leaves me uplifted. It’s a favorite album for my kids to listen to in the car when they are trying to relax. Love this group! 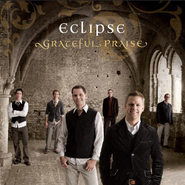 These guys followed up their Grateful Praise album with another very good take on worldly beloved gospel songs. There's something unique about their arrangements, making these religious songs very listenable. Definitely happy to have another Sunday appropriate album I can't wait to listen to over and over. Wow! Best gospel album ever! This album is beautiful! I have loved having it as a stap for my Sunday! It's has simple elegance and helps me to feel the love of my savior so much! The harmonies, lyrics, and overall message of the album is perfectly designed. Thank you Eclipse6!